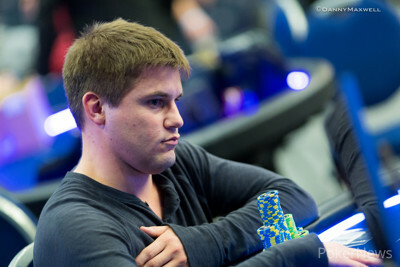 Byron Kaverman Wins EPT Malta €10,300 High Roller for €430,800! Byron Kaverman took down the 2015 PokerStars.com EPT Season 12 Malta €10,300 High Roller inside The Casino at Portomaso on Saturday. 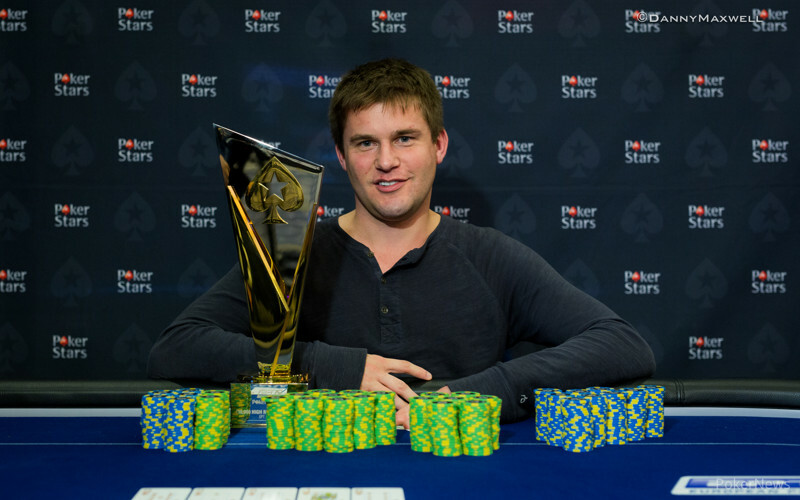 Kaverman, who also finished ninth in the €10,200 Single-Day High Roller and fifth in the €25,750 High Roller earlier in the festival, collected €430,800 and a shiny new PokerStars trophy after he defeated a field of 210 entries in this event. The third and final day began just after noon local time on Saturday with 19 players remaining and Mukul Pahuja in the lead. The field was whittled down to 11 after just the first two levels, and it was Kaverman who was doing most of the heavy lifting. By that point, he built a chip lead of his own as the only player above 2 million in chips. The final table was reached by the end of the next level, with Mikalai Vaskaboinikau cracking Dominik Nitsche's queens with the nut flush to send him home ninth. Coming off his 2015 WSOP Europe Main Event win earlier this month, Kevin MacPhee was the next to go, running fives into Pahuja's tens and failing to improve. With that pot, Pahuja moved over 3 million in chips and took the lead back heading into seven-handed play. Bryn Kenney's run ended in seventh when he ran the into Ihar Soika's and could not work his way out of the jam. Roberto Romanello then helped Pahuja increase his lead, shoving over his raise with the and losing a race when Pahuja called with the . Vaskaboinikau went on a huge tear after that, getting it in with the versus Vladimir Dobrovolskiy's on an flop, then finding a queen on the end to double big. Vaskaboinikau sent Dobrovolskiy home fifth soon after, crawling out from under a dominated ace by flopping a pair after he called a Dobrovolskiy three-bet shove. Four-handed, two players from the United States and two from Belarus remained. Belarusian Soika busted first, flopping two pair, only to have Pahuja turn two bigger pair and call his river shove. The other Belarusian, Vaskaboinikau, got short, but managed to climb his way back in it before eventually shoving over a Pahuja raise with a dominated against Pahuja's to bow out third. Pahuja took a healthy lead into the all-American heads-up match, but after about an hour and a half, Kaverman turned the tables on him, turning a straight, pushing the river, and getting called by Pahuja on cracked pocket aces. It wasn't long after that Kaverman got Pahuja all in with a pair versus ace-high and held to capture EPT Malta High Roller glory. The score comes during a career year for Kaverman, who previously banked just shy of $3 million in live tournament earnings for 2015. As for the victory, it's Kaverman's fourth win of the year and 10th six-figure score. The highlight of the Ohio native's 2015 was undoubtedly winning a World Series of Poker gold bracelet during the summer in Las Vegas when he took down the $10,000 Six-Handed No-Limit Hold'em Championship event for $657,351. In the sixth hand back from the break, Mukul Pahuja limped in from the small blind and Byron Kaverman shoved out of the big blind. Pahuja called for his last 1,525,000 and they turned over the cards. The flop failed to give Pahuja any additional hope and he was drawing to an ace only once the fell on the turn. 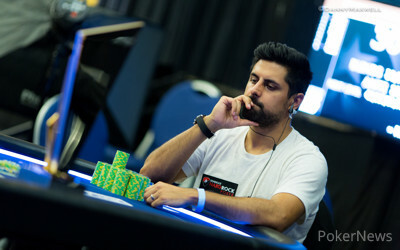 The river was of no help and Pahuja was eliminated in 2nd place for a payday of €290,100. Both opponents shook hands and the winner pictures will be taken momentarily. In the first hand back from break, Byron Kaverman raised to 200,000 and Mukul Pahuja called to see the flop of . Pahuja check-raised all in and Kaverman forfeited his continuation bet of 150,000 after long consideration. Pahuja limped in the second hand and then folded to a raise before receiving a walk in the hand after. Pahuja limped yet another time and Kaverman checked. Both players checked down the flop and the turn before Kaverman fired the river for 450,000. A very frustrated Pahuja said "you won't believe what hand I have, nuts on the turn" and mucked his . Last but not least, hand number five in the new level saw a raise by Kaverman to 200,000 and Pahuja folded to fall back to around 15 big blinds. The remaining two contenders for the EPT12 Malta High Roller title have been sent on a 20-minute break. Mukul Pahuja raised to 175,000 and Byron Kaverman called to see the flop of . Kaverman checked and then check-raised from 175,000 to 550,000 in order to receive a call from Pahuja. The fell on the turn and Kaverman led for 450,000, which Pahuja called. A back door flush arrived with the making an appearance on the river and Kaverman moved all in after some consideration. Pahuja didn't snap-call but he said the word "call" only to immediately shake his head upon seeing the cards of his opponent. The all in after the river was for 2,700,000 and about as much is the stack size of Pahuja after this huge clash, suddenly making him the short stack. Byron Kaverman has picked up a couple of smaller pots and closed the gap slightly. Mukul Pahuja raised to 175,000 and Kaverman defended his big blind to the flop . A continuation bet worth 125,000 by Pahuja is check-called before they checked down the turn and river. Kaverman flashed and that won the pot. One hand later, Kaverman raised to 175,000 and then folded to a three-bet before defending his big blind again to a raise of 175,000 by Pahuja. Both checked down the flop and turn before Pahuja bet the river for 175,000. Kaverman gave it a lot of thought and eventually called with the , which won the pot as Pahuja had even less. Mukul Pahuja raised to 175,000 and Byron Kaverman defended to see the flop of , which got checked through. On the turn, Kaverman folded to a delayed continuation bet worth 155,000. Kaverman then raised to 175,000 and Pahuja called to see the flop of . Pahuja check-called a bet worth 125,000 before both players proceeded to check down the turn and river. Pahuja's ended up second-best to the of Kaverman. One hand later, Pahuja raised to 175,000 and was called. Kaverman checked the flop and called a continuation bet worth 150,000 before doing so again on the turn for 335,000. The river killed the action completely and Kaverman showed for two pair, Pahuja revealed his inferior . Byron Kaverman opens to 175,000 and Mukul Pahuja raises, making it 500,000. Kaverman tank-raises, pushing it up to 875,000. Puhaja wastes little time announcing he is all in. Kaverman quickly pushes his cards in, waving the white flag. Who Will be Crowned High Roller Champion at the EPT12 Malta?